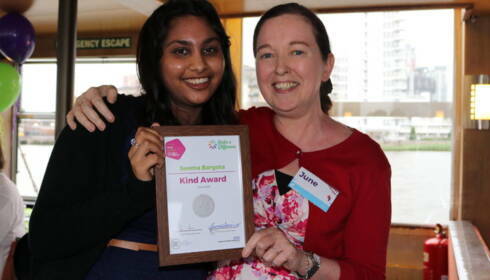 Why should I volunteer with Imperial Health Charity? Imperial Health Charity supports the five hospitals of the Imperial College Healthcare NHS Trust: Charing Cross, Hammersmith, Queen Charlotte's & Chelsea, St Mary’s and the Western Eye. Our volunteers help thousands of patients navigate their way around our hospitals and are working every day to improve the experience for our patients and visitors. Many of our volunteers do it to support their local community and give back to their local hospital, where family members or friends have received great care. Some volunteer to gain experience in order to pursue a career in health and social care. What kind of roles can I do? We offer a variety of roles within our hospitals, ranging from wayfinding and giving out information to supporting staff and patients in ward-based roles and helping in the hospital’s retail outlets. For general volunteer roles applicants must be at least 18 years old. However, we also run a Youth Volunteering Programme for 16–25 year olds. For more information on the Youth Volunteering Programme please click here. Unfortunately, we only recruit volunteers to a specific role where there are vacancies in that department, and we usually expect a minimum commitment of six months or 30 hours. The Imperial College Healthcare NHS Trust does offer work experience directly, and you can find out more here. What skills or experience do I need? Most of our roles do not require specific skills or previous experience. We ask that volunteers are friendly and enthusiastic, have a calm and patient manner and want to help others. What skills can I gain from volunteering? We hope that our volunteer roles will help you gain lots of skills. The most common skills gained are communication, social interaction, experience in a healthcare environment, experience of therapy techniques and providing peer-to-peer support. I have a criminal record — can I volunteer? A criminal conviction doesn’t necessarily mean that you cannot volunteer with us. This may depend on the nature of the offence and the role that you would like to apply for. If the role is subject to a DBS disclosure we would ask that you speak to us about this and a decision will be made on a case-by-case basis. I am a refugee/asylum seeker — can I volunteer? Applicants will need to be able to prove that they have a legal right to work in UK. If this is the case, then yes, you can apply to be a volunteer with Imperial Health Charity and we will consider all applications. If you are in the UK on a visa, it is the responsibility of the person applying to ensure that the visa permits you to volunteer in the UK, and to adhere to any restrictions set out in the terms of that visa. We can be flexible with the number of hours you want to do per shift for most roles, and shift length can vary from one up to six hours. Some roles have more specific timings, such as Mealtime Support Volunteers, where this is directly linked to when meals are served on our inpatient wards. Additionally, we do ask that volunteers complete a minimum of six months initially, where possible. Do you ask for references and a DBS check? We ask everyone that applies to volunteer with us to provide details for two references, who we will then contact. Preferably these references would know you in a professional capacity - this could be someone like a school teacher or university lecturer, a previous volunteering manager or a manager from your place of employment, or a community leader such as an imam or a vicar. If you're still not sure who to put down please get in touch with us and we'll be happy to advise you. Once I have applied, how long will it be until I can start volunteering? Once you’ve applied we’ll contact you with the next steps, usually within five days, and will keep you updated throughout the application and selection process. If you’re successful at the selection event or interview, we’ll want to get you started as quickly as possible, but this will depend entirely on the role and what checks we need to do beforehand. If the role requires a criminal records check (this will be detailed on the role description) the process can take significantly longer. Volunteers must also complete the Core Training session, before they can begin their role. We aim to complete the process from application to volunteers starting within three months, providing that applicants meet any requested deadlines. Will I get my expenses reimbursed? Yes, we reimburse out-of-pocket expenses in line with our Expenses Policy, upon submission of a completed Expenses Form with receipts for any purchases made or proof of travel. We reimburse up to £6 for travel and up to £4 for refreshments, per shift. You will have a named member of hospital staff who will be your main point of contact for day-to-day activities and questions, as well as a dedicated Volunteering Manager based at your main hospital site who will support you with expenses, regular check-ins and training updates and opportunities. How do I find out more about developing a volunteer role for my department and recruiting volunteers? Please contact the Volunteering Department who will direct you to the appropriate Volunteering Manager for your site, who will send you the Volunteer Request Form to help you identify suitable tasks in your department and put together a recruitment plan. What roles can volunteers do in my team or department? Whilst volunteers can undertake many different tasks, volunteer roles must be different to that of staff members. Volunteers should add value to what we can achieve and should be focused on improving the experience of our patients. The roles volunteers do cannot be essential to the operation of your department, as volunteers are under no obligation to come in for shifts — although we have a Volunteer Agreement in place, this is a good faith agreement only. Essential roles and tasks should be undertaken by paid members of hospital staff.